1. Choose File –> Print. The Print dialog box appears, as shown in Figure 1. Figure 1: The Print dialog box. 2. Stare at the Print dialog box for a moment. If you have more than one printer at your disposal, make sure that the correct printer is selected. 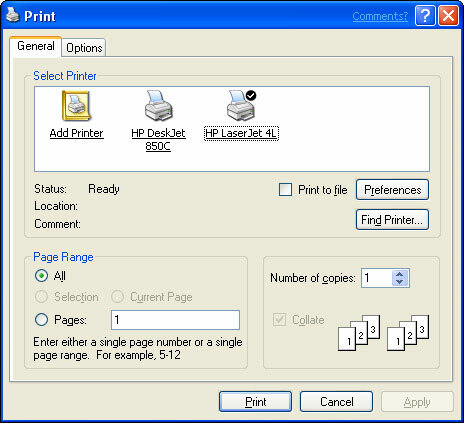 If you want to print more than one copy of the page, change the Number of Copies setting. 4. Wait a moment while your printer grinds and whirls. A faster way to print a Web page — assuming that you want only one copy and you know that the correct printer has already been selected as your default printer — is to simply click the Print button (the button that looks like a printer with a piece of paper coming out of the top) on the toolbar. As laid out onscreen: Prints all the frames together, as they appear on the screen. Only the selected frame: Prints only the frame you’ve selected. This option is available only if you select a frame before calling up the Print dialog box. All frames individually: Prints separately all the frames that make up the page. Print all linked documents: Prints not only the current Web page, but also any pages that appear as links on the page you’re printing. Print table of links: Prints a list of all the links that appear on the page. The File –> Page Layout command lets you tweak the appearance of your printed pages by summoning the dialog box shown in Figure 2. Figure 2: The Page Setup dialog box. Paper size: The most common choices are Letter and Legal, but other page sizes are available. The important thing about this setting is to make sure that it corresponds to the type of paper you put in your printer. If you put letter-size paper in your printer but set this option to Legal, your pages don’t print properly. Paper source: If you have more than one way to feed paper to your printer, this option lets you choose the one you want to use. 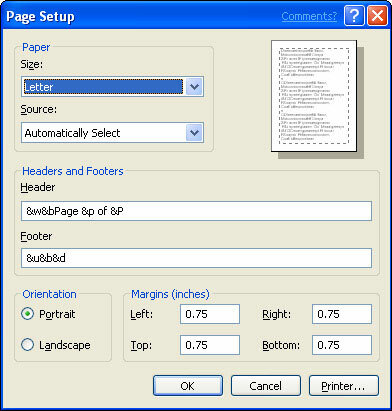 Header and Footer: These fields let you set up information to be printed at the top and bottom of each page. The default settings for these options are to print the page title and page number in the header and the URL and the date in the footer. You can customize the information you want to appear in the header and footer, if you dare. Unfortunately, the road to customized headers and footers is paved with nerdy ampersand codes, such as &w, &p, and &b. Take a deep breath and look over the list of codes shown in Table 1. Then, twiddle with the header and footer fields if you can still see straight. Portrait or Landscape: This setting specifies the orientation of the printed pages, either Portrait (the long edge of the paper is vertical) or Landscape (the long edge of the paper is horizontal). Margins: Lets you set the top, bottom, left, and right margins. The window title, which is usually the title of the Web page. The URL (address) of the Web page. Number of pages in document. The first time this code appears, the text that follows is centered. The second time the code appears, the text that follows is aligned with the right margin. If you want to see how a page will appear on paper before you send it to your printer, choose the File –> Print Preview command. A Print Preview screen appears, as shown in Figure 3. 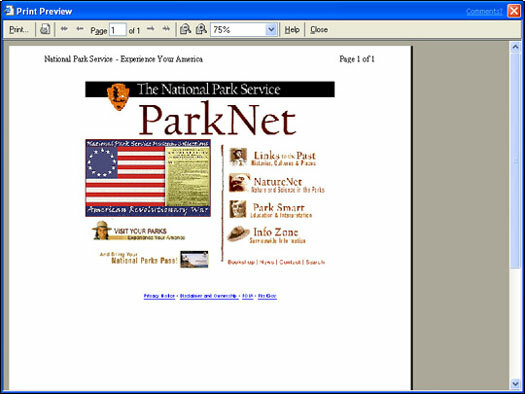 Figure 3: Print Preview lets you see how a page will appear before you print it.